On Sunday 19th November Earthworker organisers, along with members of Earthworker Energy Manufacturing Cooperative and Redgum Cleaners’ Cooperative, attended a day-long training and education workshop. Below is a reportback from Mark, an Earthworker Organiser, about the day. As the Earthworker project continues to grow, I’m realising more and more the importance of training and education to ensure the vibrancy and viability of what we are building. Famously, the Mondragon Cooperative, which we look to for inspiration, began with an education cooperative before starting any manufacturing or service cooperatives. It was 10 years before those involved in this education cooperative started the first manufacturing cooperative. That deep educational work laid the foundation for establishing subsequent worker cooperatives, which has now grown into a massive network with over 80,000 worker-owners. The training day at the Earthworker Energy factory in Morwell saw about 30 of us dedicate our Sunday to developing the training and education side of the Earthworker project. Earthworker Secretary, Dan Musil, provided a very distilled summary of how we got to where we are today, including contributions from early cooperative movements, labour and union struggles, green movements and faith communities. Hearing this history was a good reminder that we are indeed standing on the shoulders of those that came before us. After the morning session, we shared lunch, with one Earthworker organiser commenting that it would lead to an “athletic figure” if he were to always eat so healthily. 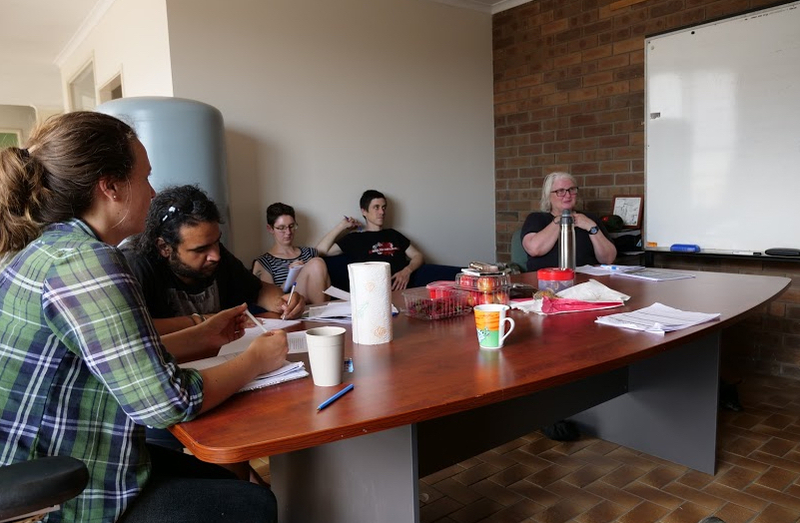 In the afternoon we broke into two groups, one focused on developing a training curriculum for new Earthworker organisers, and another a training curriculum for worker-owners. 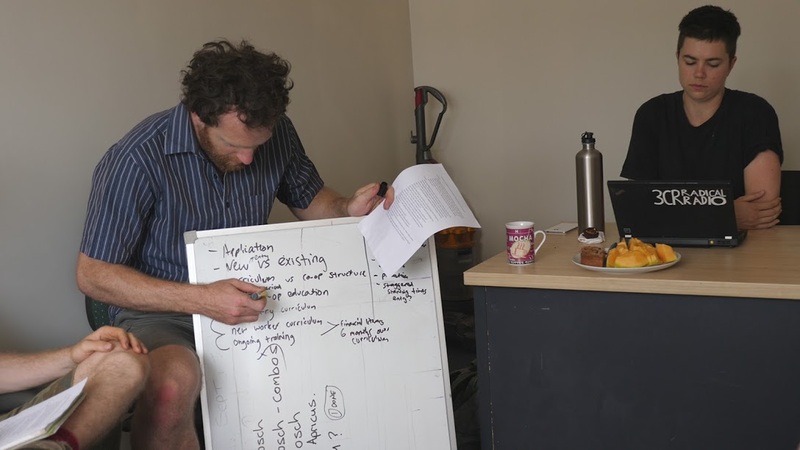 The two groups created briefs for the training curriculums, and now two subcommittees (one focused on Earthworker organisers, and another on worker-owners) are working on making them a reality. People in the room ranged from over 10 years in the project, to it being their first Earthworker event. There were local Morwellians, some who previously worked in the coal industry, as well as Melbournians, others from regional Vic, trade unionists, environmentalists, and people from different faith backgrounds. As always, I was humbled to see such a diverse, mongrel mob of people work so respectfully and diligently together. Morwell Factory Open, Bulk Buy Kicks off!